Jimmer Fredette of BYU led the way in voting for the AP All-America team with 64 votes of a possible 65 from the national media members that also vote for the Top 25 college basketball teams each week during the season. Joining Fredette were two other seniors in Duke point guard Nolan Smith who received 61 votes and Purdue big man JaJuan Johnson who received 44 votes. Junior point guard Kemba Walker from UConn also made the team with 51 votes and freshman phenom Jared Sullinger from Ohio State joined the upper classmen with 58 votes. The voting took place before the NCAA Tournament and rewards regular season excellence. 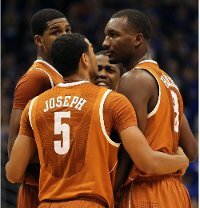 The Texas Longhorns' men's basketball team put an end to the Kansas Jayhawks' 69-game home winning streak. The Longhorns trailed by as much as 15 points in the second half, when it doubled its output from the first half (23 points) by scoring 51 points in the latter half. The convincing 74-63 victory pushed the eleventh-ranked Longhorns to a 16-3 record and the second-ranked Jayhawks to an 18-1 record, losing its first game of the season. The UConn Huskies women’s basketball team win streak of 90 games ends thanks to a 71-59 loss to the Stanford Cardinal women’s team. UConn, who recently beat the NCAA men’s win streak that was achieved by the UCLA Bruins led by the legendary John Wooden, lost to the eighth-ranked team in the country, so there is no shame in the streak ending. The Huskies who were ranked number one could fall slightly in the rankings, but in the end, winning the NCAA tournament is what matters most. A streak of championships is more important and by the time the tournament comes, the Huskies will definitely go for a postseason win streak all the way to the title. June is the month for the NBA Draft, when fans and experts alike chart players and teams to determine which future prospect will be taken by which team. The process is both exciting and captivating, as it hints at the future of many NBA ball clubs. Yet, NBA Draft buzz doesn’t start in June. Even though the college basketball season is just underway, murmurings of where players might go in the 2010 NBA Draft have already surfaced. Here’s an early look at how the draft might shape up. Wall is the consensus top pick at this point. 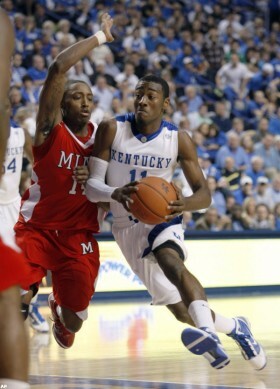 Wall has great size and athleticism for a point guard. After six games, he’s averaging 18.5 ppg, 7.8 apg, 4.0 rpg, 2.5 spg, while shooting 56% from the field and 80% from the line. He somewhat resembles Derrick Rose. Though the Nets have Devin Harris, it’s hard to imagine them passing on a potential superstar like Wall. 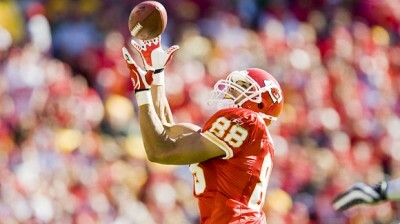 Overview: The Kansas City Chiefs……wow. I don’t know where to start. When Trent Green left the team to get knocked out in Miami, the once deafening Arrowhead Stadium could’ve been mistaken for a ballet recital. Team chemistry was at an all-time high! Green was made for the Chiefs, and the Chiefs were made for Green. Why would Green leave an offense that had everything, but wide receivers, especially with the addition of Dwayne Bowe helping the receiving situation. The Chiefs looked tremendous on paper in the beginning of the season with All-Pros Larry Johnson in the backfield and one of the best tight ends in NFL history in Tony Gonzalez. Green left and was part of arguably one of the worst teams in NFL history, the 2007 Miami Dolphins. Moving on, the Chiefs weren’t better off without Green under center. Early in the season the Chief’s main rusher, Johnson, was injured. Chiefs’ fans then saw the return of a huge fan favorite, Priest Holmes. No sooner than he had come, Holmes received a career-ending back injury. Not to pour salt in the wound, but Kansas City wasn’t exactly a hot spot for QB’s either - Brodie who? Damon Huard? But, in all fairness there is no Q and B in team. And unfortunately, no real protection as either as the offensive line gave up a jaw-breaking 55 sacks. Chiefs fans were hit hard last year, but as they say, “after the night the sun must rise.” In no other league is that theme more prevalent than in the NFL, and hopefully for the Chiefs. The 2006 NBA draft is quickly approaching (June 28th), and it sounds like that the Portland Trailblazer fans are making it very clear who they would like the team to select with the 4th pick of the draft. The Draft the Stache Campaign is gaining traction in the Rose City, and urging the Blazers to draft Gonzaga star Adam Morrison. An open letter to the team declares that Morrison is the player that can help re-establish the fans trust in the organization harkening back to the days of Clyde Drexler and Terry Porter. I wonder if the fans campaigned to draft Sam Bowie back in the 1984 NBA Draft? The Jordan All-American Classic took place this past Saturday in Madison Square Garden, the yearly event features the top high school basketball players in the nation. In years past, the event has included future and current stars such as Amare Stoudemire, Lebron James, Carmelo Anthony and others. I was able to attend both this years event as well as last year’s. Last year, I had a sneak peak at Pittsburgh’s Levance Fields, and 2005 draft picks Martell Webster, Andrew Bynum, Monta Ellis, Louis Williams and Andray Blatche. This year I didn’t pay as much attention after knowing it was just going to be an exhibition game with no defense. On the positive side, I was able to get into the VIP room and get an up-close look at Michael Jordan himself, Vince Carter, Danny Granger, Al Harrington and football DT Warren Sapp. I got to tell Al Harrington to avoid the aggravation and not to bother signing with the New York Knicks as he heads to free agency this summer. Two former Rick Pitino assistants have made headlines the last couple of days. Billy Donovan led Florida to it’s first NCAA basketball title, and Herb Sendek took the head coaching job at Arizona State University. Both Donovan and Sendek were Pitino assistant’s at Kentucky. Tubby Smith was also under Pitino’s staff, and has put his own mark on the Kentucky program. Donovan led a strong sophomore recruiting class to the promise land yesterday by defeating UCLA, to the dismay of Bill Walton. With two NCAA championship games under Donovan’s belt, he may now be propelled into an elite class of head coaches. Sendek who has had success as the head coach of the N.C. State Wolfpack in recent years, but has come up short in head to head against the elite of the ACC with a 17-54 record against rivals Duke, North Carolina and Wake Forest. With Sendek on board, the Pac-10 Conference just got tougher by one more team. Ever since Florida defeated Villanova to advance to the Final Four, the focus has been on Joakim Noah and his sound-bites. First it started off with the backwards hat wearing, right out of the locker room celebration “The Gator boys are hot right now,” quote. At that moment, he morphed from high-energy, fun to watch basketball player, to condescending, uppity-attitude rich kid who is garnering too much attention. Ever since then, it’s been the you’ve guys only watched us three or four times, you don’t know me, why are you writing stories against us, me against the world attitude. Hey Joakim, who is writing bad things about you and the Gators? Mostly everyone is predicting the Gators to defeat George Mason and win in the title game. This is one rising star where the sudden adoration and attention is definitely going to his head.